This article will describe how a consultant can update their email password within HRS Lite & HRSi. 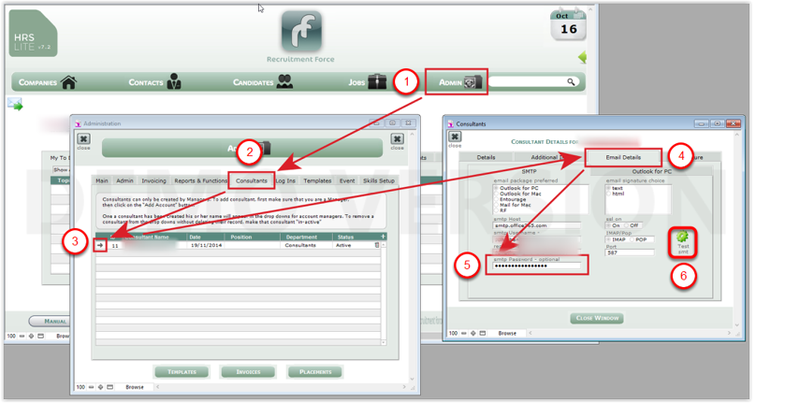 Once logged into HRSi click the 'Admin' button. In the Admin section under Manage Consultants click the arrow to the right of the Consultant you want to update. 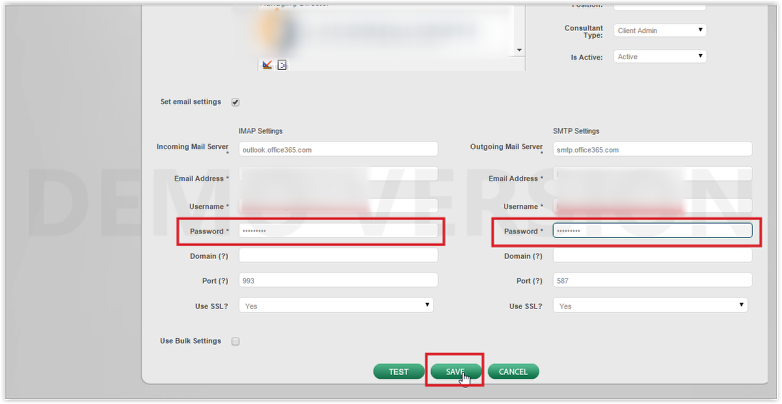 Tick the 'Set Email Settings' tick box to expand the IMAP and SMTP Settings and enter the new password into the two password fields highlighted and click the Save button.